his amazing statue is from the original works of Fred Kail. 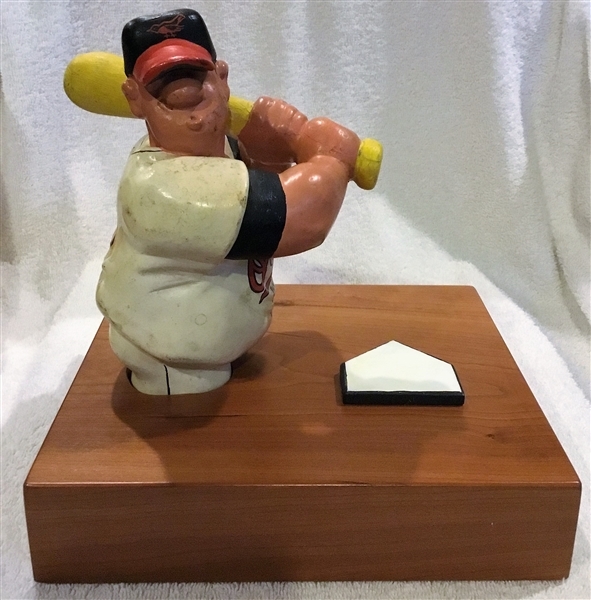 In the late 50's/early 60's, Mr. Kail was comissioned to create a number of statues that were to be given to members of his hometown Baltimore Orioles and Colts. 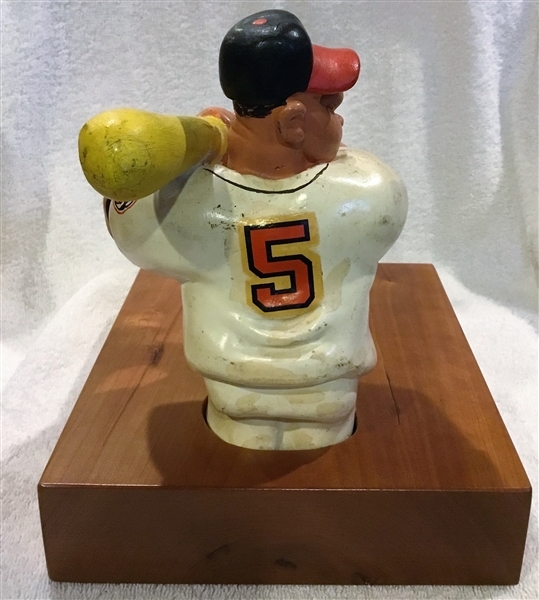 This statue was made for the Orioles Hall of Famer- Brooks Robinson. It was made of a heavy chalk-ware and unfortunately, it has suffered some damage over the years. The legs of the statue were broken off above the knees. The previous owner had a display stand designed to hold the statue upright. 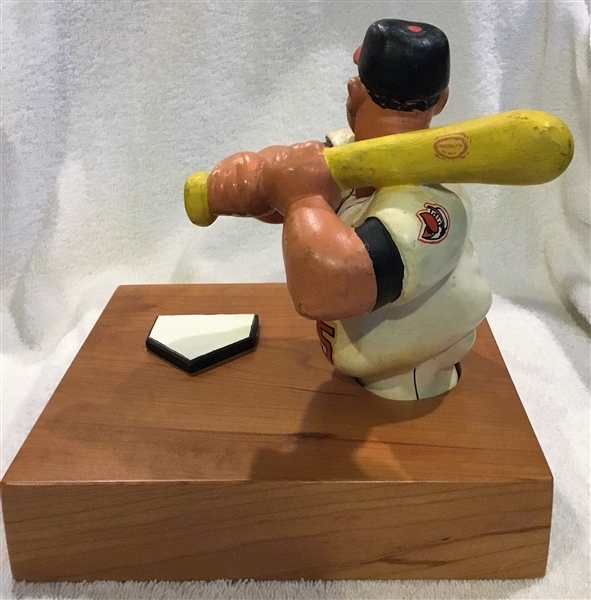 The statue stands next to a home plate and is mounted on the wooden stand. The statue can be removed easily for inspection. These original works from Mr. Kail are extremely rare and are not offered for sale too often. 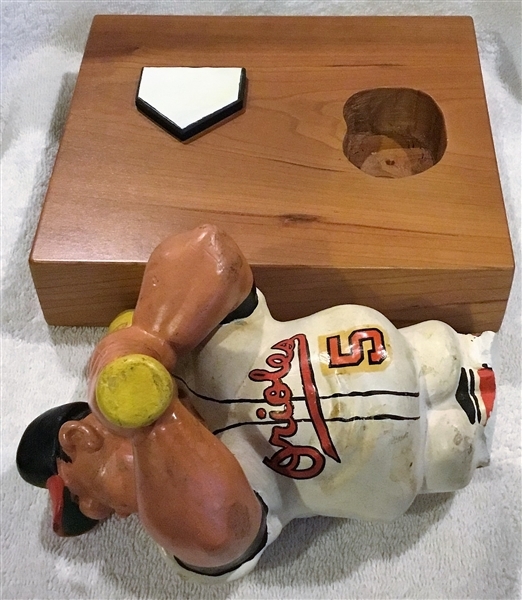 Please do not miss this opportunity to own the classic piece of sports art.